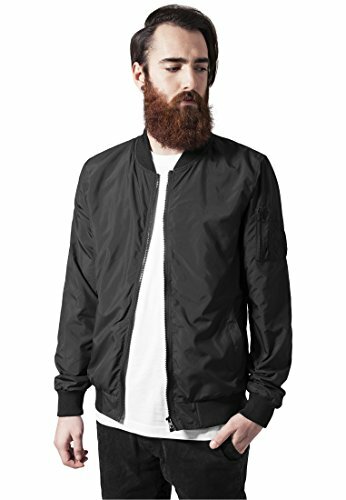 The unicolored long Sleeve Bomberjacket with two side pockets and a typical bomber pocket at the left arm is a key piece for today's Streetwear. The full-zip jacket is made from light poylester fabric and is water repellent. A stylish basic Pilot jacket for Men and Boys with Zipper - a perfect jacket for Summer, spring and autumn.